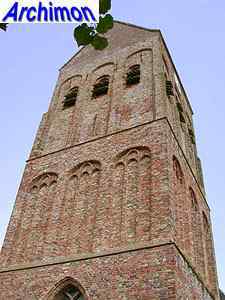 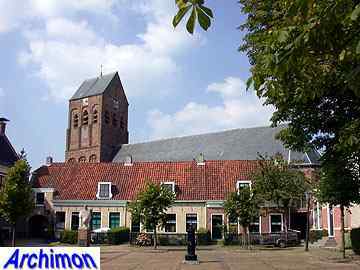 Friesland has few examples of rich Gothic. 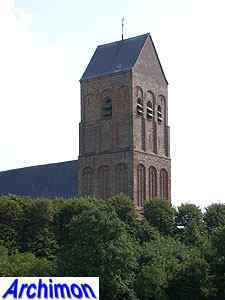 Most Gothic churches are generally quite similar to their Romanesque predecessors. 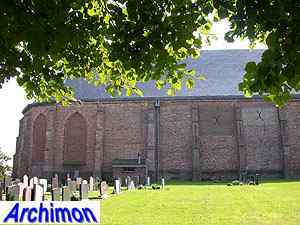 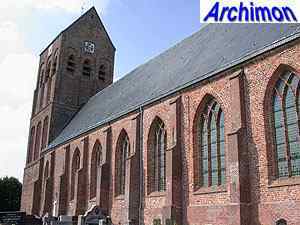 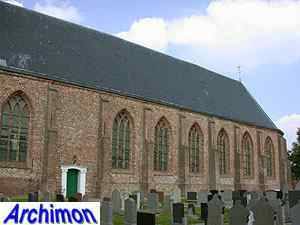 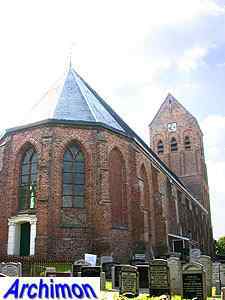 The church of Ferwert (the place is also known by its Dutch name Ferwerd) is an excellent example, and a big one at that. 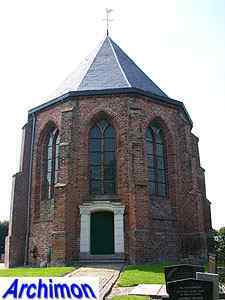 It dates from the early 16th century and was the third church of the village, replacing a smaller building in Romanesque style. 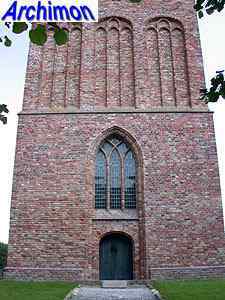 Apart from a few reconstructed niches at the tower it is rather plain in decoration. 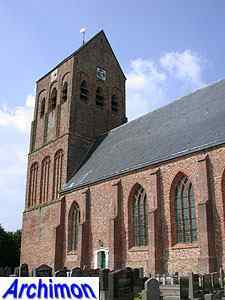 The nave is hardly more than a bigger version of many village churches from the same period, and the same goes for the choir. 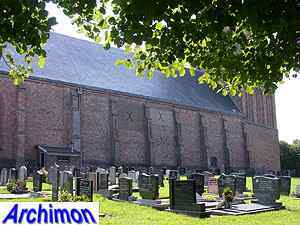 The north wall of the nave is completely devoid of windows, while on this side the windows of the choir have been closed. 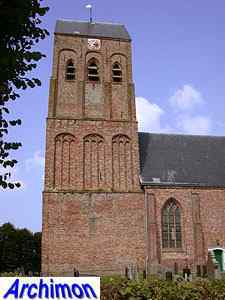 In 1927 the church was restored, the tower followed in 1935. 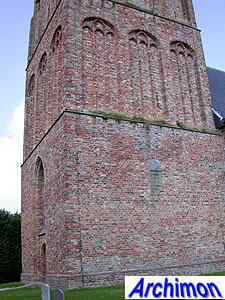 The niches of the tower were reconstructed, while the gables of the saddle-roof of the tower unfortunately lost their authentic shape. 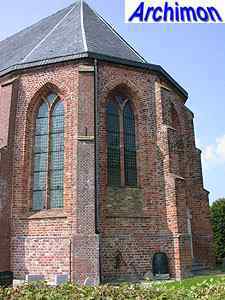 More positively, all windows were given their traceries back.